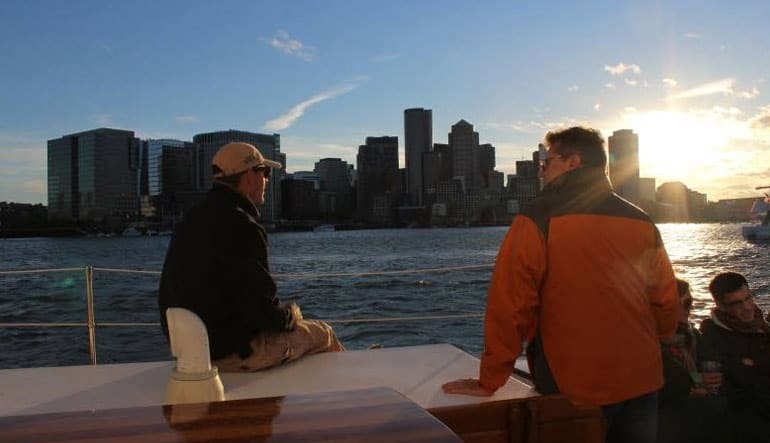 All aboard for a delightful 90 minutes cruise of Boston Harbor in style and luxury! 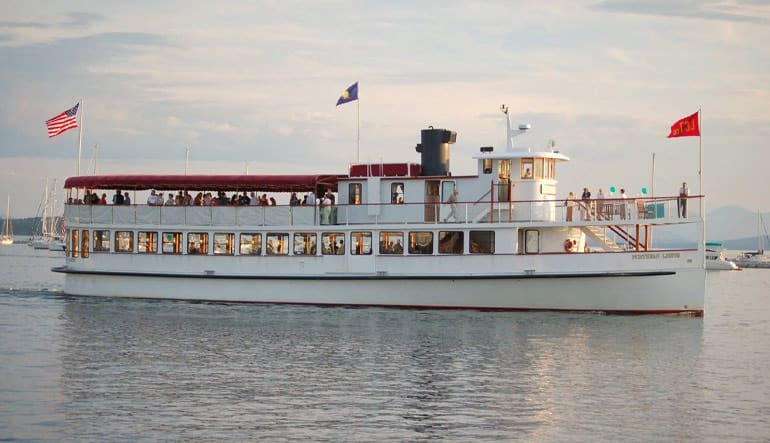 All aboard for a delightful 90 minutes cruise of Boston Harbor in style and luxury! Full of intriguing sights and a rich history, a day in Boston just isn’t complete without exploring Boston Harbor, one of the oldest waterfronts in America. 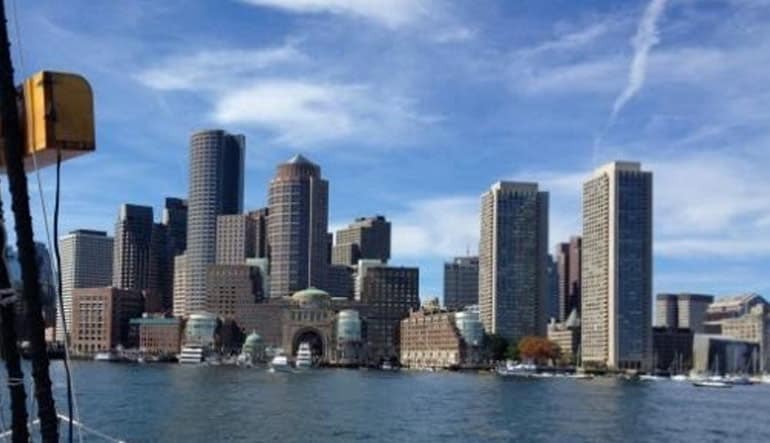 Departing from Rowes Wharf in the heart of it all, you’ll be able to immediately enjoy the beauty of the Bostonian skyline. From these Massachusetts waters you’ll have epic views of such sights as the Bunker Hill Monument, the USS Constitution, Fort Independence, and the steeple of famous Old North Church as well as the plethora of islands that pepper the Harbor and Massachusetts Bay. As you glide through the waters, your captain will provide narration of the sights and their history with a friendly and knowledgeable crew on hand as well to assist you with any need. 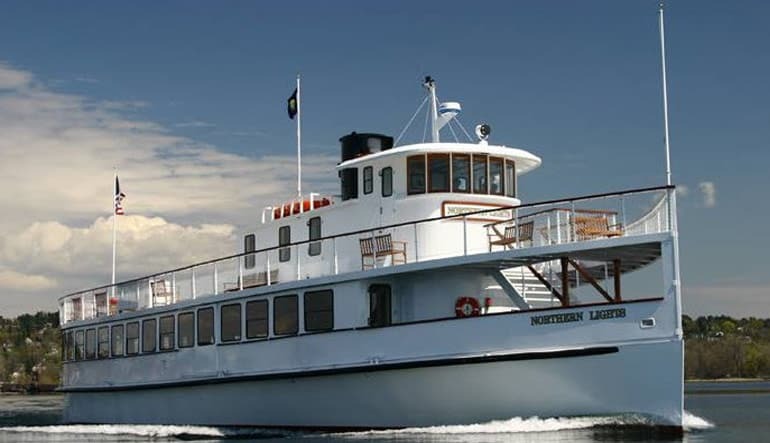 And there’s no better way to enjoy the sights than from the comfort of the Northern Lights yacht. Inspired by classic 1920’s New England steamboats, the Northern Lights is one of the most comfortable and yet versatile crafts in Boston. Built specifically for extensive viewing deck capacity, this craft is perfect for spectacular sightseeing on the harbor. 115 ft in length, it boasts ample indoor and outdoor seating for up to 149 guests as well as a climate-controlled cabin so you’ll have an excellent experience in any weather.